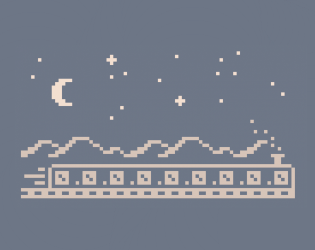 made for traintracks (bitsy jam)! Wow, this is beautiful. It's such a cool use of Bitsy! omg this is so gorgeous!!! its so lovely and i love the colours and the scenes!!! !